The origins of Valmiermuiza beer go right back to the days of the ancient Swedes when the castle inn was built not far from the Livonian era castle. 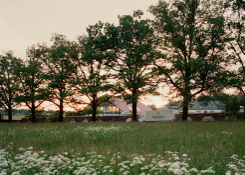 Maintaining Valmiermuiza renowned traditions of hospitality, the brewery’s landlords invites to visit the manor grounds and craft brewery. The guests will discover about how Valmiermuiza’s rich history has influenced the creation of Valmiermuiza beer. 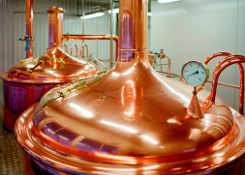 Thus, it takes a whole 30 days to brew a unique beer from three types of malt and two different varieties of hops. During your visit, you will have the chance to find out how to taste beer in the style of the lord of the manor and which foods are best enjoyed with it. Duration of a visit to Valmiermuiza’s craft brewery and beer sampling – 1.5 hours. 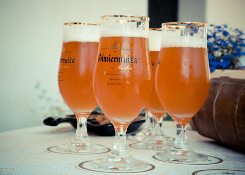 Please contact us info@grandbaltics.com to book Valmiermuizas Beer Tasting‏.